Update 2 January, 2018: AMD’s software guru, Terry Makedon has tweeted refuting the original response that they were unlikely to be fixing the issue and “will for sure” fix the DirectX 9 problems. Whichever gaming API in use, one of the best gaming keyboards goes a long way. The issue only affected a handful of DX9 games, making it essentially a non-issue, but AMD are going to make sure that the few legacy titles that are struggling with the latest Radeon Software release won’t for much longer. AMD are rightly proud of the advances they’ve made with their recent big driver releases, and obviously didn’t want even a couple of old-school DX9 games get in the way of their 4.5 / 5 user satisfaction rating for their software. Original story, 2 January, 2018:AMD released their latest update for their Radeon Graphics card software at the very tail end of 2017. 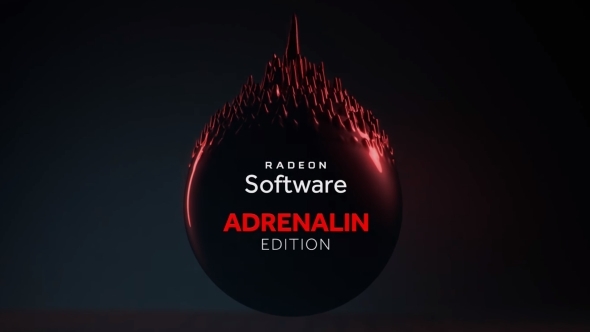 The AMD Radeon Software Adrenalin update brought with it a handful of new features, including a major monitoring feature, although, as with all major driver updates, it arrived with its fair share of bugs. The latest bug to raise its head is the breaking of DirectX 9 for a handful of ageing titles. This new-found bug is preventing DirectX 9 titles from booting up whatsoever, although luckily not all DX9 titles are affected – that really would be a nightmare for a gamer’s back catalogues. A few titles that are reported to be affected via Reddit so far include: The Witcher: Enhanced Edition, multiple Command & Conquer games, and both Battle for Middle-earth titles. Unfortunately, to continue to play any of these titles you will have to roll back your drivers. It’s not the perfect solution, but if you are only playing the occasional DX9-only title this issue is not the end of the world. If you regularly play older titles, however, this could become a more bothersome issue for you, especially as more unsupported games are sure to rise out of the woodwork – the full extent of this bug is not yet known. All games travel down a similar road to obscurity in their lifetime, although at varying paces. It’s no surprise that DirectX 9 would be a sticking point for gamers due to its impact on gaming since its arrival in 2002. Yet, all games will eventually reach the end of the road for popular support – even on PC, the backwards compatibility champion. Even today, as we teeter on the verge of widespread DirectX 12 support, many popular titles still utilise the ageing graphical API. Valve’s own Source Engine utilises DX9 exclusively, including the popular titles: Counter-Strike: Global Offensive, Dota 2 (although ported to Source 2), the Portal series, the Half-Life series, and the Left 4 Dead games. These titles seem to be having little issue with the new drivers, however, pointing to what is possibly a more localised issue. So far, AMD have not commented further on the situation, but we have reached out for an official response. It seems the AMD employee on their community forum may have misjudged the response that a lack of bug fix would create, especially when regarding such… vintage titles. AMD may reconsider their position in due time, however. Unfortunately for the red team, the damage has already been dealt to their driver reputation among some communities – just as public opinion was on the rise for the Radeon driver team, and not long after what was otherwise a step in the right direction with their Adrenalin update.